Best Las Vegas vacation resorts set a new standard for hospitality around the world. Some of these resorts are the largest in the world. Most of them have great swimming pools, spa, restaurants, fitness centers and shopping malls. Many casino resorts host the best shows in the world, and have great concert venues on site - a popular stop of rock and pop stars. Explore below where to stay in Las Vegas! Of course most people come to Vegas to gamble a little...or a lot. 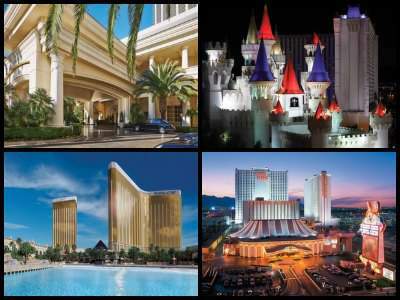 You can't go wrong with the best 5 and 4 star Las Vegas vacation resorts with casinos! All of them have casinos, as well as fantastic swimming pools with private cabanas and spa services, and they host the best shows in the city! Choose luxury if want to feel like celebrity - at these hotels, you will be pampered and spoiled, beyond belief! 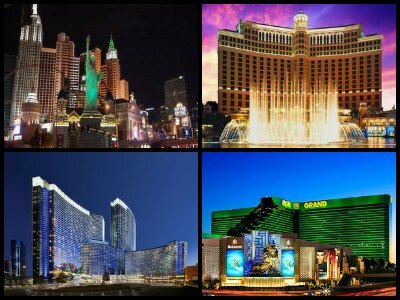 We have selected both no-casino and casino hotels, but all of them provide the utmost comfort during your stay. 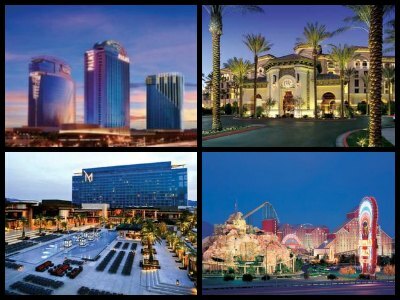 All of these hotels are conveniently located on the Strip - close to all the attractions and casinos. The noise, gambling and fun night life may not be for you. If you would like to have peace and quiet in your hotel, you can stay at five 5 star hotels in Las Vegas that have no casino. Luxury obtains a new meaning in these hotels that will pamper and spoil you to no end, so much so you won't want to leave. Although Vegas is not exactly a family-oriented destinations, there are some Las Vegas vacation resorts that actually do cater to families. These hotels are filled with children's fun rides, shows, swimming pools and other activities and perks for kids. In these hotels, your kids will feel like on an actual family vacation - and not simply dragged along with adults to an "adult city"! Imagine yourself basking in the hot sun at the sparkling swimming pool with fountains, surrounded by palm trees, holding a cold beer in your hand...Las Vegas may not be the Caribbean, but it's the second best option! Oh and you can gamble there should the need arise, which you can't in, let's say, Dominican Republic. The Las Vegas vacation resorts we are recommending here are all family, boasting huge swimming pools, great restaurants, and other amenities evoking the atmosphere of the Caribbean, Mexico, or Tahiti. Whether you are traveling to Vegas with kids or as a couple, you may want to opt for one of these relaxing family resorts instead of casino resorts. At these resorts you can relax at the swimming pool and actually feel like you are in the Caribbean! What can be more fun than visiting Las Vegas with your significant other? Check out reviews of my favorite romantic Las Vegas vacation resorts! I have selected several hotels that cater to couple, but all of them offer something different - some offer fun and rich night life, others - extremely relaxing couples spa services. Event better - these hotels are ideal if you want to get married in Vegas! Do not disregard these awesome off Strip Las Vegas vacation resorts. They are a great option to stay at a good distance from the craziness of the Strip, yet close enough to get there should the need arise. These resorts offer everything you may need - top entertainment, spa treatments, great swimming pools and, of course, casinos! Plus, Red Rock Casino Resort might be a great spot to catch a celebrity! Plus, they provide a free shuttle service if you want to visit the Strip for some extra fun. 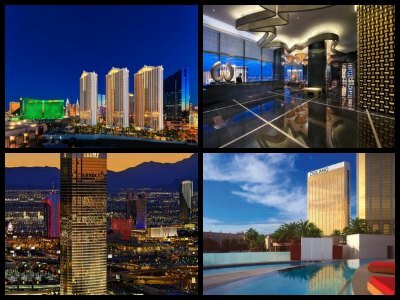 These awesome off-Strip Las Vegas vacation resorts are a great choice if you want to visit the city, but don't like too crowded hotels that never sleep. Not only are these resorts more quiet, they are generally cheaper and provide excellent value for the money. At the same time, they are located a pretty short drive from the Strip, so you won't feel left out...But that's nice to know that you can always return to your peaceful oasis when you are tired of all the merry-making! If you want to experience what Vegas looked, smelled and sounded like, you should stay at one of hotels located right on the Fremont Street Experience! Just remember that it almost never gets quiet here, but after all you are going to Vegas! 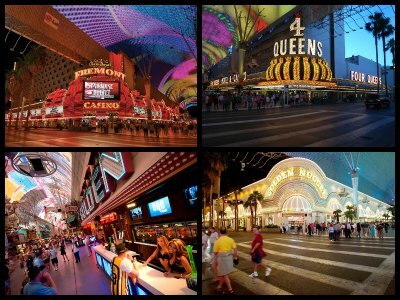 Their prices are quite affordable, they have casinos and on-site restaurants, and you are only 2 steps away from all the free fun of Fremont Street! There are many advantages to staying in Downtown Las Vegas - they are less expensive, have awesome casinos, and offer great entertainment. There are actually plenty of things to do in Downtown - including night clubs, the Fremont Street Experience, and much more. 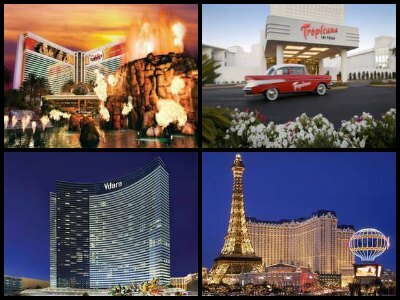 Read our reviews of the most fun, best downtown Las Vegas vacation resorts! 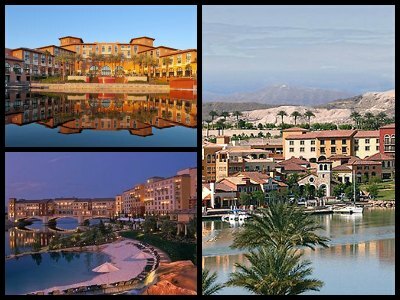 Lake Las Vegas is one of the Sin City's best kept secrets! The area around this gorgeous small man-made lake is gorgeous and picturesque, as if coming from a Mediterranean dream. Attractions in the area include a casino, a golf course, yacht cruises, kayaks, paddleboats and boat rentals. It's a popular destination for outdoor weddings. If you feel like taking a break from all the Las Vegas vacation resorts near the Strip, a relaxing vacation at the shores of Lake Las Vegas will rejuvenate you. With Las Vegas vacation resorts being quite pricey, the properties mentioned above provide great value, cheap Vegas hotel rooms and cater to most of your needs. However, there is also an option to find fantastic deals at motels - and there are plenty of them around! There is little difference between a hotel and a motel, whether price-wise, or in terms of services and amenities. The main difference is the number of storeys in a building and the floor plan. 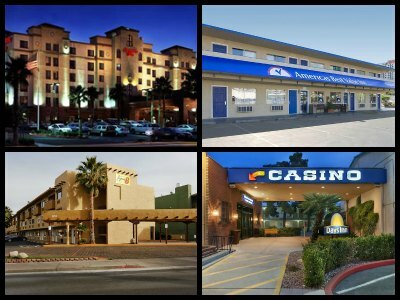 Check out these motels, providing great value for your money and are a great option to stay in Las Vegas for a cheap price.